For the last few years, Lightstreamer has been organized into four different editions, which got their names from Italian musical tempo terms, namely Moderato, Allegro, Presto, and Vivace. 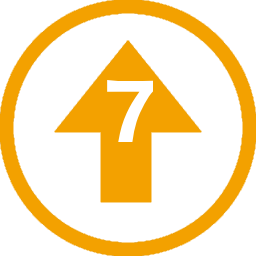 Now, with the upcoming release of Lightstreamer 7, the editions are going to change, to offer maximum flexibility to our customers. In this post, we will explain how the old editions map onto the new ones for existing customers. You can compare it to the new edition matrix. The following mapping rules apply. MODERATO was the free edition of Lightstreamer. It maps to the new COMMUNITY edition. The big news is that with the Community edition, it is now possible to choose one client API among all those available, while Moderato forced the use of the Web Client API. Allegro maps to the Enterprise edition with no optional features. Any options that had been purchased on top of Allegro will be added to the Enterprise edition too. Presto maps to the Enterprise edition with the addition of these optional features: Bandwidth Control + TLS Support + Max Message Rate (Downstream) set to 3 + all the available Client APIs. Any options that had been purchased on top of Presto will be added to the Enterprise edition too. Vivace maps to the Enterprise edition with the addition of these optional features: Bandwidth Control + TLS Support + Max Message Rate (Downstream) set to unlimited + JMX Management API + all the available Client APIs. Any options that had been purchased on top of Presto (namely, Mobile Push Notifications) will be added to the Enterprise edition too. Now, there exists also the ENTERPRISE ULTIMATE edition, which gives you all the current optional features, as well as those that might be released in the future (with an active maintenance plan). This is more than Vivace offered, because Ultimate includes Push Notifications and any new optional feature that will be released. Server License maps to Per Server License. The purchased number of servers is kept. Site License maps to Per Client License. The purchased peak number of concurrent sessions is kept and is named peak number of concurrent clients. There are also two brand new licensing schemes, based on a pay-as-you-go model: Per Core-Hour License and Per Client-Hour License. With no upfront cost, you will be charged at the end of every month for the actual usage of your Lightstreamer Servers (either in terms of CPU resources or in terms of average concurrent clients). This was just a high-level overview of the mapping. For any further details and questions, please contact your Lightstreamer's account manager or write to info@lightstreamer.com.